I graduated from University of Illinois College of Veterinary Medicine in 1983 and opened the hospital in 1985. I grew up in Decatur, Illinois, but headed to Texas the day after graduation to start practicing in Houston. I am the proud mom of 3 kids – Lauren, 30, Matt, 24 and Megan, 20 and grandma to William, 2 and Ralph, 6 months. I’ve been very blessed in my profession and feel the same dedication towards quality small animal medicine and surgery that I did 35 years ago. I am married to John Milan and together we are developing a Texas native wildlife ranch near La Grange. I enjoy ranch management, antiquing, gardening, horseback riding, and travel. I am very appreciative that I get to do what I love. I am an Aggie vet that earned my DVM from Texas A&M in 2001. I have worked at Wilcrest Animal Hospital for my entire career and can’t imagine practicing anywhere else. I love the family-like qualities of this hospital as well as the high level of medicine that the staff practices. My greatest joy is teaching pet owners about their new puppy or kitten and helping that special “senior” pet live a better life during their “golden” years. In 2012, I welcomed the birth of my son Dylan. I enjoy the animal companionship of my two dogs, Reggae and Blue. My husband and I have enjoyed competing our Labradors in hunt and field trials. Reggae is the proud holder of his hunting retriever champion, master hunter, and upland hunter titles. I also enjoy my equine friends and currently train and ride English dressage. I am a certified scuba diver, and whenever I can find time to spare, you will find me “blowing bubbles” and enjoying the exotic wonders of marine life. 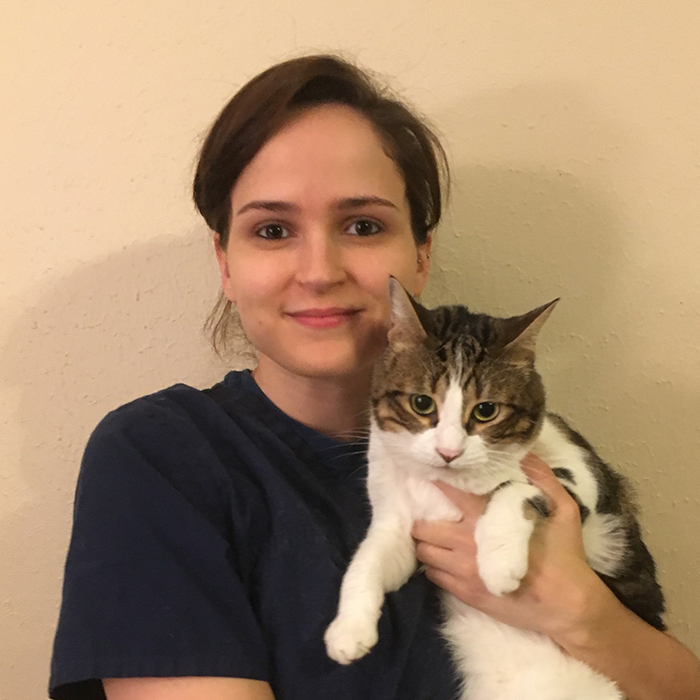 I graduated from The University of Texas in 2000 with a Bachelor of Arts in Economics and from Purdue University College of Veterinary Medicine in 2005 with a concentration in small animal medicine. Since graduating, I have worked in various hospitals around Houston. I am very excited to finally be practicing in my own neighborhood. I enjoy feline medicine, soft tissue surgery, and wellness medicine. When not at work, I spend time with my husband, Damon, and my three young children, Maddie, Eli, and Owen. I also share my space with two extremely handsome tuxedo cats named “Bert” and “Ernie.” When not driving my kids to and from all their activities, I enjoy reading, needle pointing, and working out. Hi! My name is Valentina and I have been the Office Manager at WAH since January 2017. 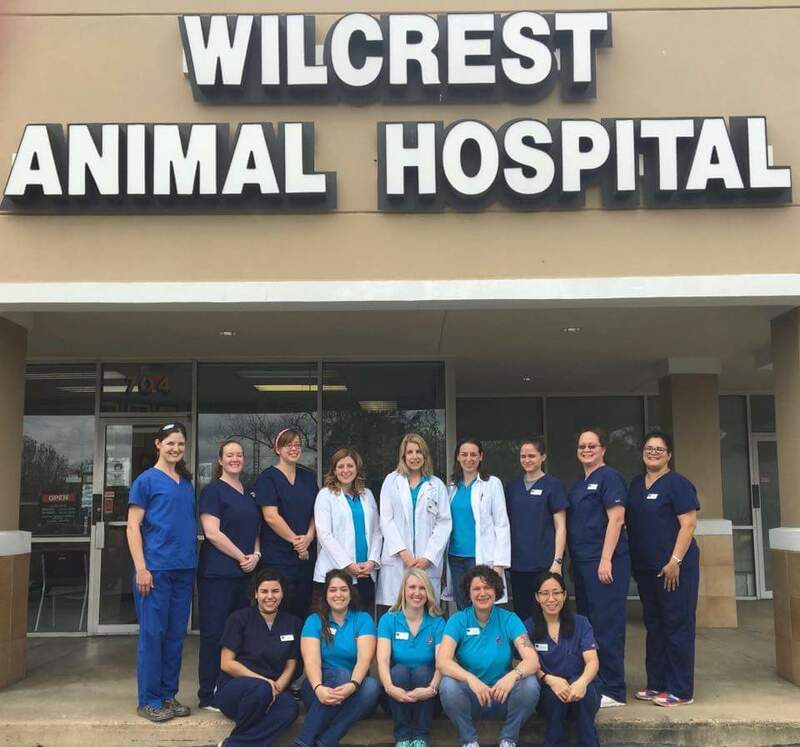 I started at Wilcrest Animal Hospital in 2004 as one of the lead technicians and have been working with the “furry children” for many years. I live with entitled dogs, bossy and overbearing cats, and my wonderful husband and two sons, Guillermo and Gideon. Working in this fast paced AAHA clinic keeps me on my toes! Working with our clients, staff and doctors to keep the children healthy and looking their best keeps me rewarded and fulfilled. Hi, I am Kim. 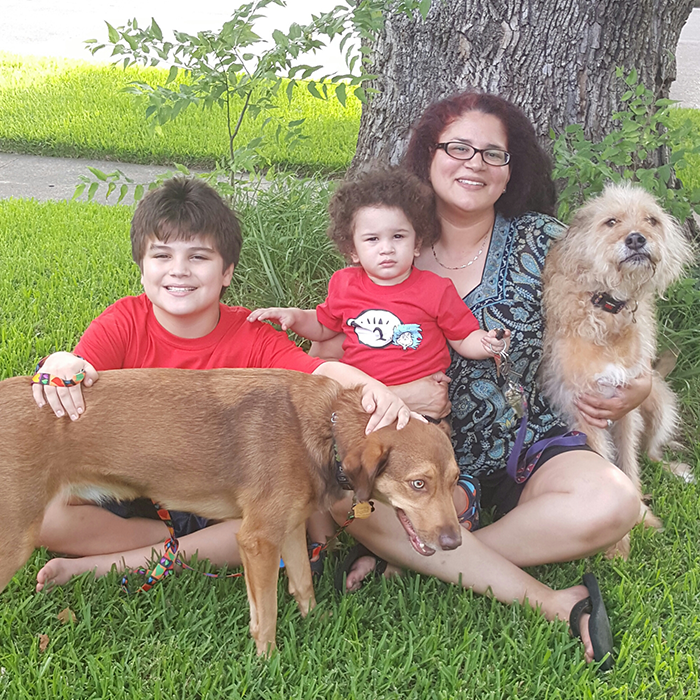 I am a native Houstonian with 17 years experience in the animal care field. Here at Wilcrest we take care of pets like family. 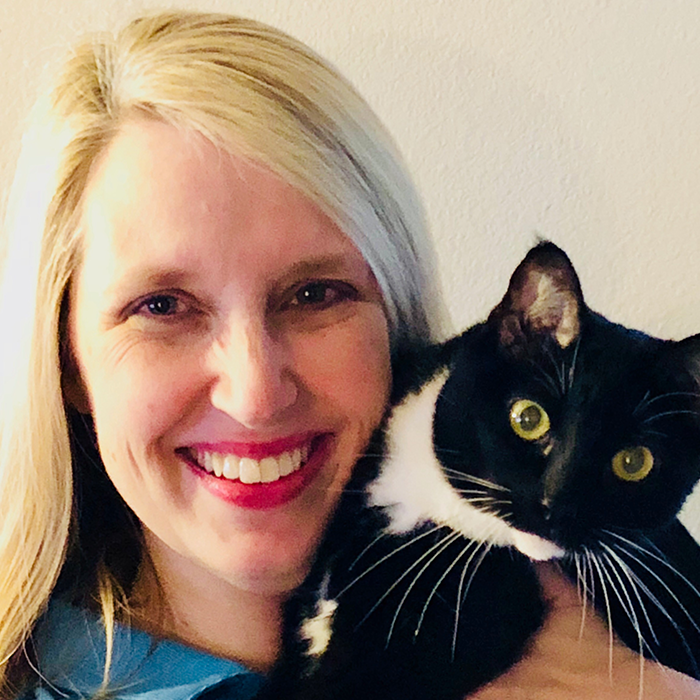 Brittany joined the Wilcrest Animal Hospital team in January 2019. She has been in the veterinary field for over 7 years. 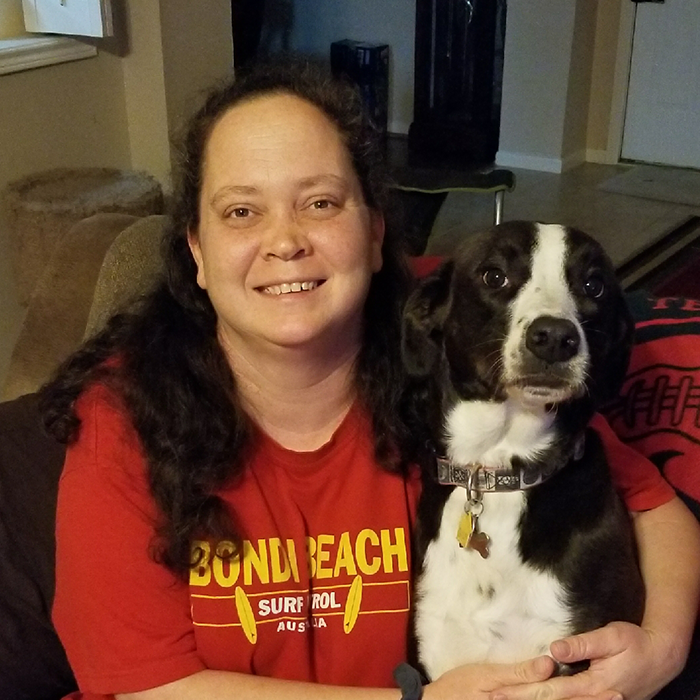 Outside of animal care Brittany enjoys being outdoors, traveling and being with her husband and her 4 dogs Bailey, Cooper, Murphy, and Kahlua. My name is Deborah and I have two rescued Border Collie mixes. I enjoy greeting card design, photography and crocheting in my spare time. I love animals and look forward to meeting you and your pets. Hello, my name is Jennifer. I am a Licensed Veterinary Technician at Wilcrest Animal Hospital. 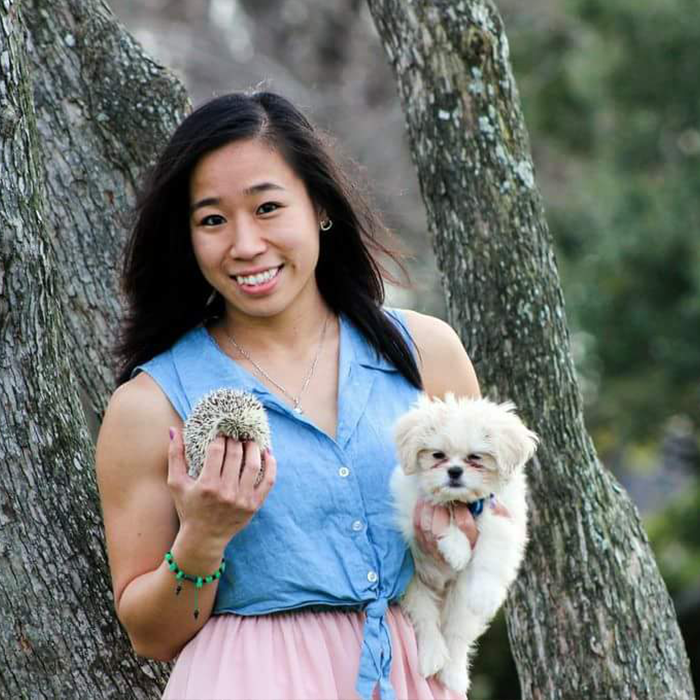 I joined the Wilcrest family in 2013 after graduating from Lone Star College with an AAS in veterinary technology. My special interests include preventative medicine, behavior, and nutrition. It has been fun and exciting to get to know all of our amazing clients and their pets. I look forward to serving our clients and the pet community for many years to come. My name is Christi and I have been with the Wilcrest Family since 2002. I have a husband, a teenage son and am owned by quite the animal menagerie at home. I love everything that I do here, but my favorites are radiology and dentistry. I look forward to taking care of your furry loved one. Hi! My name is Nikki. I am a veterinary technician and have been in the veterinary field since 2014. I graduated from Vet Tech Institute with am A.A.S. in Veterinary technology. My fur babies at home include two crazy cats and two loving dogs. I have spent my whole life around animals and have always loved them. It’s important for me to help keep pets happy and healthy. Hi, my name is Dana and I’m a certified veterinary assistant. I have been with Wilcrest Animal Hospital since 2015. I have three cats and a dog who thinks she is a cat. They are everything to me in this world and I love my job. I can’t wait to meet your pets! Hi everyone!! My name is Alex and I’m one of the vet assistants here at WAH. 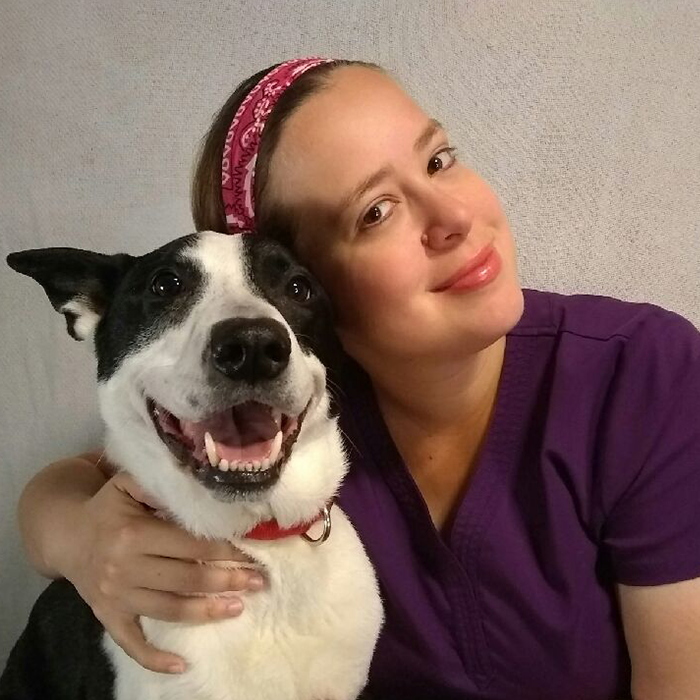 I graduated in 2017 as a certified veterinary assistant and continue to enjoy doing continuing education in the vet field. I’ve spent all my life growing up with animals & have one of my own named Milo. I definitely enjoy working with all furry friends & look forward to seeing your lovely pets! Hi! 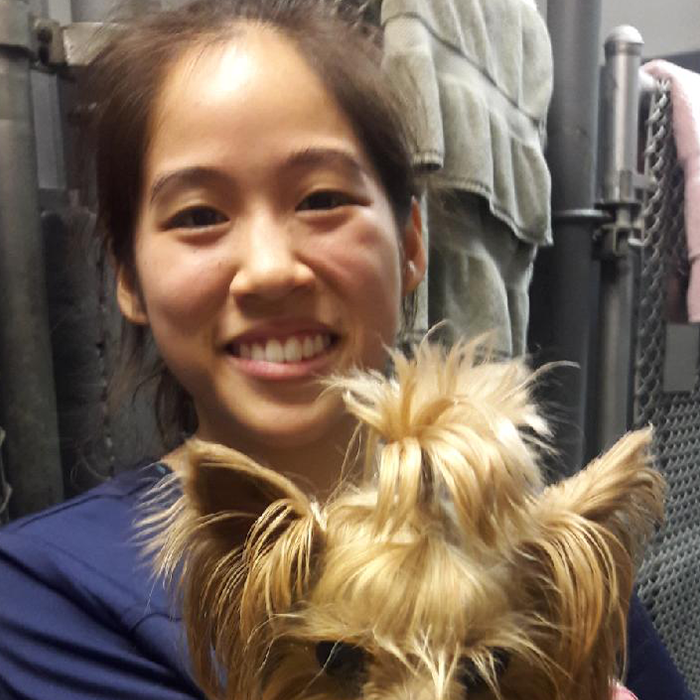 My name is Danielle and I have been working at Wilcrest Animal Hospital since 2014. I get the pleasure of interacting with every pet that comes in for boarding. I can’t wait to see your family pets! Hello! I’m Isabelle and I’ve been with WAH since 2014. I graduated from HCC with an associate of science and veterinary paramedic. My family includes a senior collie mix, a Yorkie, a Shihtzu mix, three demanding and loveable cats, a hamster and a hedgehog. When I am not slaving away to my pets, I enjoy working out and playing video games. I definitely can’t wait to meet your furkids. Hello everyone! My name is Catherine (but you can call me Cat for short). I am a University of Houston sudent majoring in Psychology. Go Coogs! 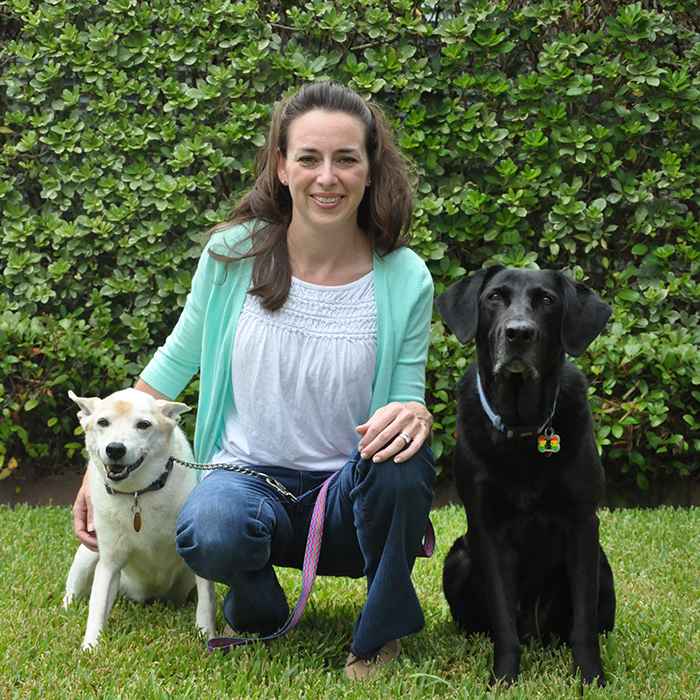 I am a new member at Wilcrest Animal Hospital and I look forward to meeting and caring for your furry companions. Hey y’all, I’m Nicole! I am a Houston native and received my bachelors of science in communications from TCU. I’ve had several years experience in the animal field including shelter care and fostering rescue labs. In my spare time you can find me playing tennis, guitar, or out on the lake.